I founded my own surgery on 1 April 2006 after taking it over from my predecessor. In the relatively short period of time since the opening many patients have found their way to us, and new ones are always coming. Thank you very much for this! I completed my medical studies at the University of Rostock (1989-1995). During my subsequent training as a specialist in general medicine (2003) I practiced and attended lectures in various hospitals and medical practices with a focus on orthopedics, internal medicine and dermatology. 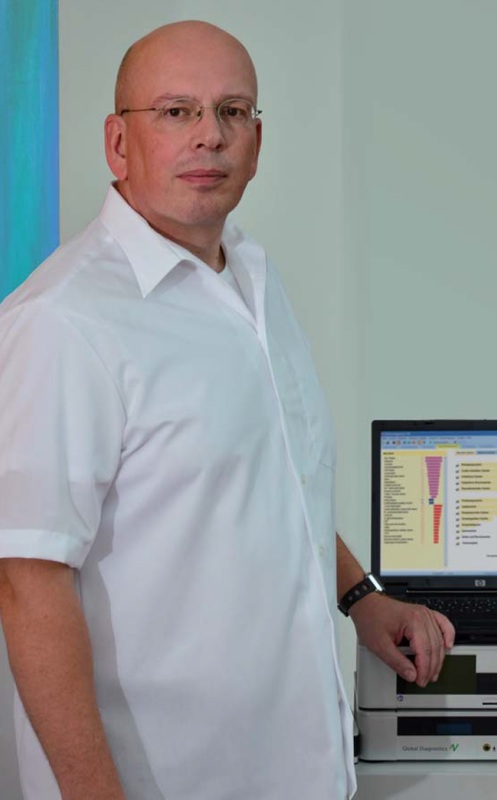 As a specialist my path led me to the Hellmuth-Ulrici-Klinik Sommerfeld in Brandenburg (Clinic for Endoprosthetics, Clinic for Manual Medicine – nonsurgical orthopedics and pain management) in 2004. Shortly before founding my own surgery I also worked in a holistic practice. In the meantime (1997), I defended my doctorate at the University of Rostock. According to my holistic mindset I additionally completed several complementary medical trainings in the fields of acupuncture (since 1999, Institute of Traditional Chinese Medicine in Bad Oeynhausen), chirotherapy (2004) and naturopathy (2004) in addition to my conventional medical education and training. In my therapeutic work, I focus on the current conventional medical progress and can offer you complementary medicine treatment options depending on the clinical picture. To me it is very important to consider the personality as a whole and to select the most appropriate form of therapy. Your satisfaction has the highest priority. We are currently in a period in which the general financial conditions of our healthcare system drastically change and the patient’s individual responsibility for his health gains a much higher priority. The health insurance benefits are focused only on the basic therapeutic and prophylactic requirements. In order to offer an additional benefit to your health, the legislature enabled doctors to offer individual health services (IHS) to their patients. However, the patient has to bear the costs by himself. The cost calculations for all voluntary services are made on the basis of the official medical fee schedule. Do not be afraid to contact us in this regard. We are gladly at your disposal.